Deploying files to remote servers is also easy with FinalBuilder. Actions are available for performing all common file transfer activities via both FTP and SFTP to automate deployment or other file transfer related activities in your build process. 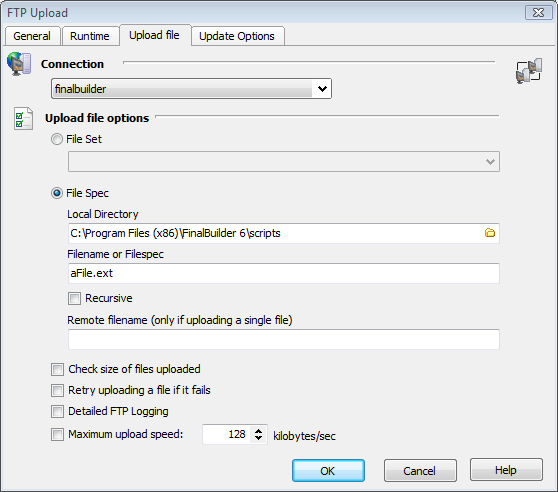 Downloading files can be achieved via these file transfer protocols; however, FinalBuilder also includes WGet and HTTPGet actions to more easily download content from a server during your build. FinalBuilder makes it easy to keep your team informed about the results of your build process. 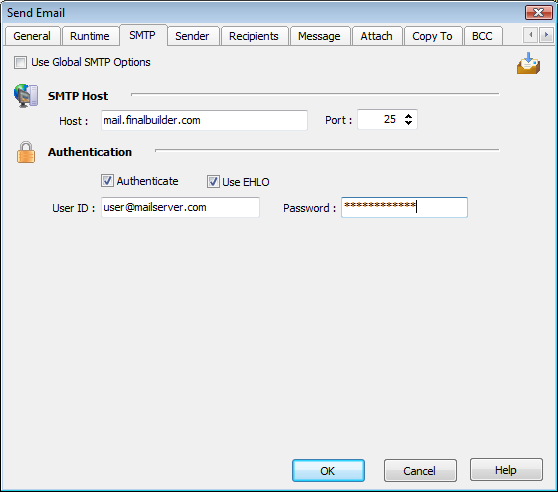 The Send Email (SMTP) action supports sending to multiple recipients, attachments and plain or html formatted messages. The NNTP News Post action supports posting to multiple groups, attachments and plain or html formatted messages. The Send ICQ Message Action supports sending to a specific ICQ Number. The Send MSN Messenger Actions supports sending an instant message to MSN contacts from your MSN Messenger account.